Micro cordsets -- quick changes. WOODHEAD Connectivity, represented by Control Synergy , has released a new range of Power Brad products to complement the current Brad Harrison range. 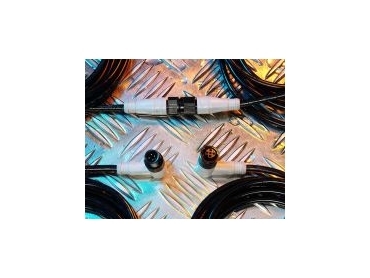 These new low cost PVC or PUR Micro cordsets are for sensors, limit switches and proximity switches, allowing for quick changes in the shortest possible downtime. The Power Brad product is ideal for harsh environments preventing the ingress from common factory contaminants such as dirt and oil with a waterproof rating of IP68. Available in single or double ended with straight or right-angled micro connectors. The coupling nut is corrosion and weld spatter resistant and has an anti-vibration coupling for secure connection. The Power Brad series provides solid steel performance for minimal investment.